This free patriotic pillow pattern can set out all summer! 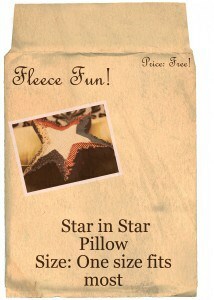 You can make a great looking star shaped pillow that adds color and style to a room. Print up the pattern (you can get assembly instructions here . 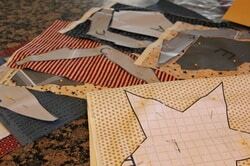 Cut out 1 of each of the pattern pieces. 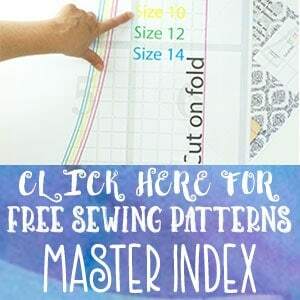 In addition to the pattern you will need to cut a 3.5 by 78 inch long strip for the five point star (you will need to sew a couple pieces together ). 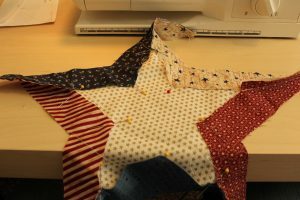 A 3.5 by 64 strip for the star in star pattern. 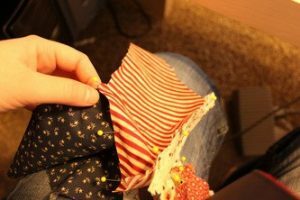 Tip: Be sure to leave the pattern pieces pined to the cloth until you are ready to sew – that way you can tell which piece is which. 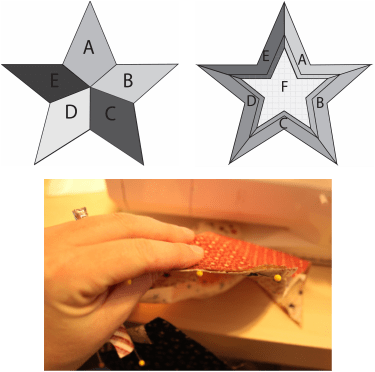 Tip: while you can sew one continuous line around the star – I recommend sewing from point to point rather than trying to turn at the top of each point. 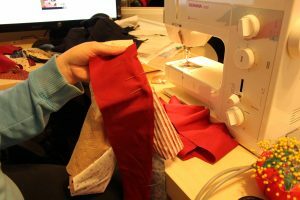 So basically you will sew 5 lines instead on long continuous one. wrong sides together). 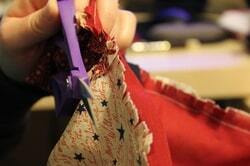 Then sew around the star. 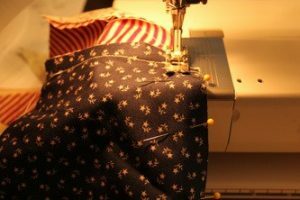 Both Pillows: Sew a short section 3-4 inches at a .4 seam allowance on the side cloth and then on the backing – this is to preserve the fabric at the baking when you rag the pillow. 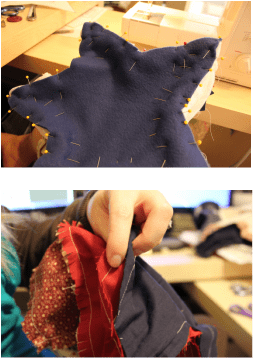 With wrong sides together pin the back of the star onto the pillow – but this time be sure to leave a 3 inch gap for turning and stuffing. 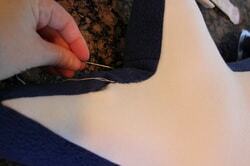 Sew together using the same seam allowance that you used on the front of the pillow. trim threads. Then toss into the washer, once maybe two times to get the fabric to fray – then dry in the dryer to finish the ragging process. Stuff to desired firmness ( I like it to be a little more firm so it can stand better without sagging.) Hand sew or machine sew the opening shut. If desired sew a button onto the center. 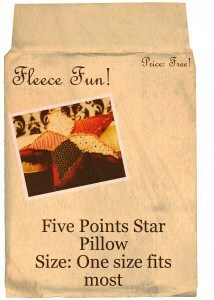 What is the side fabrics pattern for around the 5 point star? 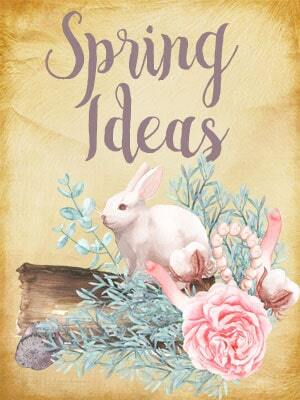 Thank you for another wonderful pattern and tutorial! I had fun with this.